What are species? Are they objective features of the world? If so, what sort of features are they? Do everyday intuitions that species are real stand up to philosophical and scientific scrutiny? Two rival accounts of species' reality have dominated the discussion: that species are natural kinds defined by essential properties and that species are individuals. Unfortunately, neither account fully accommodates biological practice. 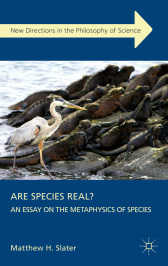 In this book, I present a novel approach to this question aimed at accommodating the attractions to both realism and antirealism about species. 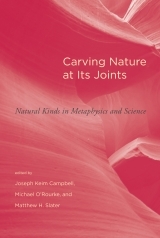 This book in progress brings together several of my previously-published papers on natural kinds together under the Stable Property Cluster (SPC) framework I published in "Natural Kindness" (BJPS 2015) and explores the interplay between realism (or something like it) and the vagaries of classificatory practice in a range of biological sub-disciplines. Fifteen original essays address the core semantic concepts of reference and referring from both philosophical and linguistic perspectives. After an introductory essay that casts current trends in reference and referring in terms of an ongoing dialogue between Fregean and Russellian approaches, the book addresses specific topics, balancing breadth of coverage with thematic unity. 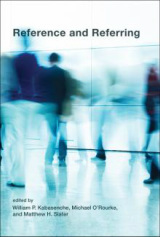 The contributors, all leading or emerging scholars, address trenchant neo-Fregean challenges to the direct reference position; consider what positive claims can be made about the mechanism of reference; address the role of a theory of reference within broader theoretical context; and investigate other kinds of linguistic expressions used in referring activities that may themselves be referring expressions. Philosophical reflections on the environment began with early philosophers’ invocation of a cosmology that mixed natural and supernatural phenomena. Today, the central philosophical problem posed by the environment involves not what it can teach us about ourselves and our place in the cosmic order but rather how we can understand its workings in order to make better decisions about our own conduct regarding it. 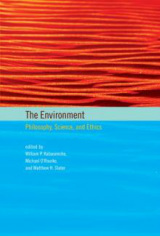 The resulting inquiry spans different areas of contemporary philosophy, including conceptual problems generated by rapid advances in biology and ecology (including such topics as ecological communities, adaptation, and scientific consensus) and axiological issues (such as philosophical aspects of environmental decision making and environmental policies).